Metal building with 2, 400 sq. ft. on a slab and 200 sq. ft. office on 2 acres, half bath in each building, office has window unit and metal building has high ceilings and several overhead doors, 3- phase electric, gas to building and fenced. 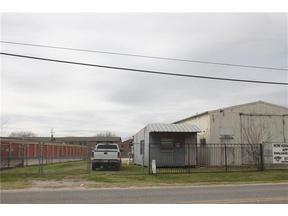 Close to downtown Lockhart, zoned Commercial Heavy Business. Must have 24 hr. appointment to preview buildings.